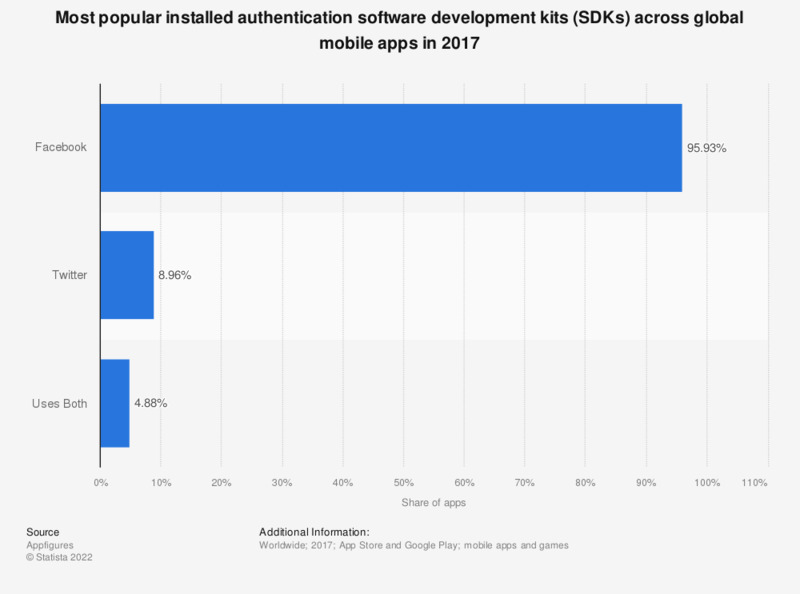 The graph shows the share of mobile apps worldwide using selected authentication software development kits (SDKs) in 2017. According to the source, login via Facebook authentication SDKs were used by more than 95.93 percent of apps. Note: unlike other categories, we focused on Facebook and Twitter here because they’re by far the most installed SDKs. There are a few others, but none that can compete at such scale.